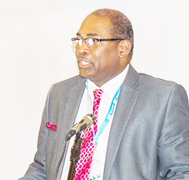 At the recently held Eusi Kwayana Emancipation Symposium which took place on Sunday at Friendship Primary School, Hughes said that such a proposal would lead to ridiculous election campaigns which would distort, completely, the need to focus on true development of the state and its people. “My fear is that when we talk about giving people cash, we are opening the doors to politicians jumping up and saying I will be able to give you more cash than the next, and you end up with a ridiculous election campaign of people being irresponsible about development, because it becomes a competition of who can give more,” Hughes asserted. Hughes’ comments would come on the heels of statements made by Professor Clive Thomas, who is a staunch advocate of cash transfers being made to every household. At the said event, the economist suggested that almost every household should get US$5000 per year. Professor Thomas said that indeed, some people can point to many examples where this mechanism has failed. He noted, however, that there are instances where this can also work. “One friend told me it is done in Alaska and it is not failing,” he said. Professor Thomas acknowledged that there is a risk that such a mechanism can fail; that the politicians can steal the money. But he stressed that there is no certainty with that. He insisted that systems can be put in place to ensure that it works for the people. “Otherwise, you know who is going to get it? 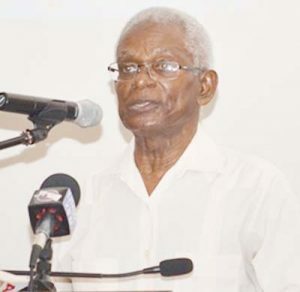 The same middle class that is running the industry today and saying that it is not really going to…” Dr. Thomas concluded that the poor and powerless must stand up for their interest.